We recommend Windows 7 Professional or WinXP for all our software products. Win7 can be either 32 or 64 bit systems. In many instances our software runs perfectly in Windows Vista. But in some situations, there may be minor, or even major, malfunctions. This is especially true for the Database Upgrade utility, Online Licensing module and scanning modules. 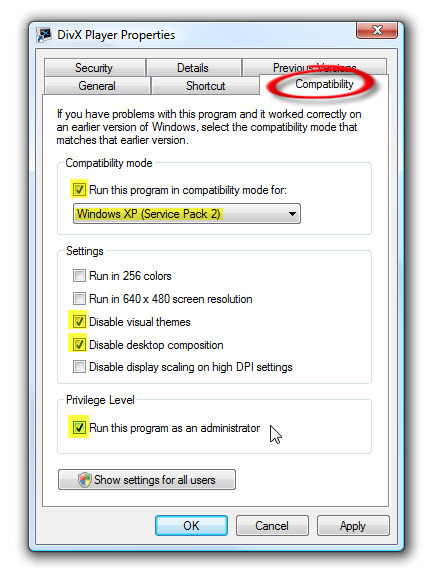 To get around this problem, you simply need to start the software in XP Compatible Mode. 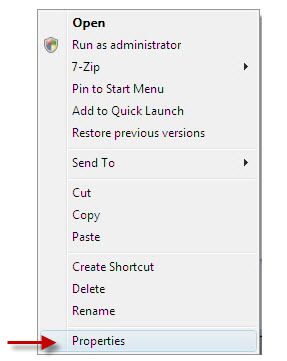 Then click OK to save the changes. If compatibility mode and the wizard does not solve the problem, contact Tech Support for further help.